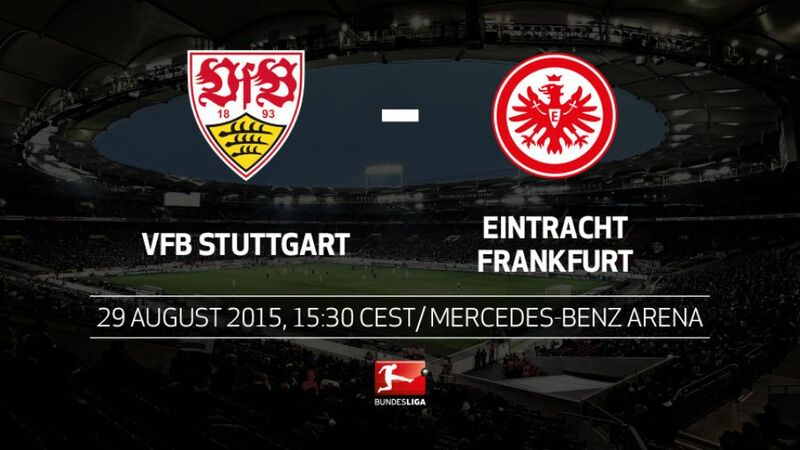 Stuttgart - Second-bottom VfB Stuttgart are looking for their first win of the season when they welcome Eintracht Frankfurt to the Mercedes-Benz Arena on Saturday afternoon (kick-off 15:30 CEST). Alexander Zorniger is the first VfB coach since Ralf Rangnick in 1999 to lose his first two Bundesliga matches in charge. No incoming Stuttgart boss has ever started with three straight losses...Frankfurt are without an away win in 12 matches (three draws, nine defeats), their longest such run in 17 years. Armin Veh is up against a club he formerly coached for the third weekend in a row (after Augsburg and VfL Wolfsburg).Veh has never won a Bundesliga game at Stuttgart. As a player he drew one and lost one with Borussia Mönchengladbach and as a coach he has drawn two and lost two with FC Hansa Rostock, Wolfsburg and Frankfurt.Since his first Bundesliga brace against the Eagles on 21 March, Daniel Ginczek has scored nine league goals, more than any other player in that period of time.